Another new innovation has been launched by Canon, one of the leading companies in the world making people’s lives easy through technology. This new innovation is called Canon imageRUNNER ADVANCE Series. 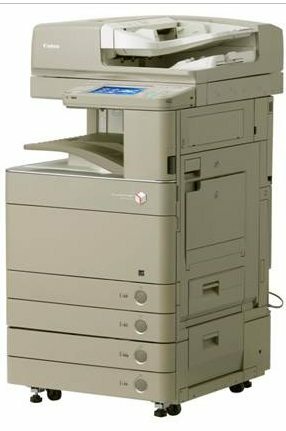 It’s a multifunction device that are very practical to use especially for office use as it is capable of performing several tasks like scanning, printing and can also act as copier. What is unique with this latest innovation from Canon is the ability of this new imageRunner Advance to provide protection to its user, especially with printing, copying or scanning PDF files. The user can input a password to limit access to that specific document, therefore giving the user the feeling of security that certain pertinent documents can be well protected and cannot be purposely or accidentally accessed by unauthorized persons. Another best feature from imageRunner Advance that really amazed the guests during the launching last April 8, 2010, is its ability to separate images from texts once a document that contains both, the image and the texts, has been already scanned. To further make the product more user and environmentally friendly, the designed it to be the smallest and lightest as compared to other similar products from other manufacturers. But Canon never stopped to that. They also made imageRunner Advance their first device that made use of 100% combined bio-plastic and recycled plastic parts. Furthermore, by avoiding to utilize Xenon Tubes and used a white LED array instead, Canon acquired the ENERGY STAR mark for allowing the users to save up to 75% of its normal power consumption. Now, this is truly the latest innovation from Canon that can provide their consumers with energy-saving multifunctional device, document security and protection, as well as efficiency. The imageRUNNER ADVANCE is available in several models, from C9075 PRO, C9065 PRO, C5051, C5035 up to C5030. – Customizable USER Interdace (per User) for a more user-centric set-up. The imageRUNNER ADVANCE Series models are part of a brand new product offering of Canon. It doesn’t just make your business simple – it also ADVANCES it!